The wind farm at Harweel will have a capacity of 50 megawatts, and is expected to begin operating early in 2017. 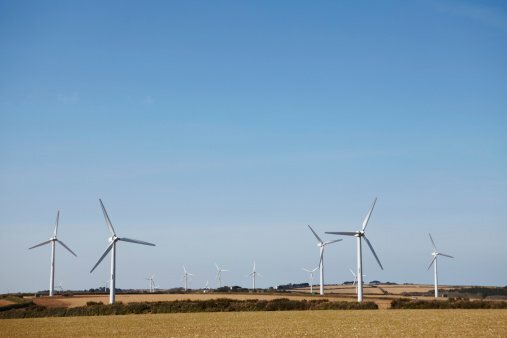 Oman plans to build its first major wind farm at a cost of $125 million to generate electricity in its southern governorate of Dhofar, as part of efforts to limit the use of oil and gas in power generation. Electricity demand is rising rapidly as the country pushes large industrial projects, but Oman’s oil reserves are not as ample as those of its wealthy neighbours, so it is exploring the use of renewable energy. The wind farm at Harweel will have a capacity of 50 megawatts, enough to meet about 50 per cent of demand in the governorate during the winter, and is expected to begin operating early in 2017, state-owned Rural Areas Electricity Co (RAEC) said in a statement seen on Sunday. The project will be coordinated by Abu Dhabi Future Energy Co (Masdar) and financed by a grant from the Abu Dhabi government, RAEC officials said. The United Arab Emirates is a significant aid donor for Oman. The turbines will be made in a Western nation while local contractors will be given a large share of the construction work, RAEC said without elaborating. The company plans to launch seven more renewable energy projects in 2015: five solar energy projects at a total cost of OMR3 million ($7.8 million), and two wind power plants.